Who’s in the Bassmaster Classic? 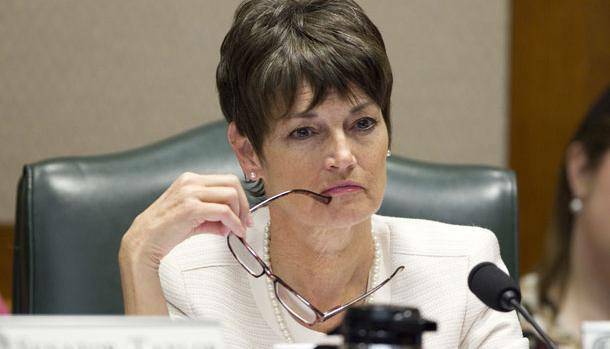 Texas state Sen. Donna Campbell (R) wants to see fewer “no guns allowed” signs in public buildings. If a bill submitted by a Texas state senator becomes law, concealed carry permit holders in the Lone Star state could soon see fewer “gun-free zones” — under threat of a $1000 fine. The measure would not only prohibit many state and local public buildings from barring lawful concealed carry, it would strip sovereign immunity from governmental bodies and officials who pursued such policies and allow them to be sued by gun owners for damages. Campbell’s legislation, S.B. 273, was filed Jan. 2. It would forbid a state or local agency or subdivision from posting signs restricting carry of concealed handguns by lawful permit holders. Those found in violation would face a fine of a minimum of $1,000 for the first incident and as much as $10,500 for subsequent violations. Likewise, government officials and agencies can be found liable for civil damages as well. The bill would allow some provisions for keeping gun-free zones in schools, polling places and courts as well as property under federal control, and private property, but would provide a method to strike those in almost all other areas. The legislation is among many pro-gun bills filed in the state legislature for the upcoming session. Following last November’s election, Republicans now enjoy a 19 to 13 margin of seats in the Texas Senate and 98 to 52 margin in the House after winning significant gains in both. Further, a new GOP governor, former state Attorney General Greg Abbott, ran on a strong Second Amendment platform and has made public statements since winning his race that he intends to keep his promises. In 2013, Kansas passed a broadly similar measure that allows CCW permit holders to carry concealed firearms into most government buildings which was later clarified to include some polling places. Campbell’s bill is set to be considered in committee once the legislative session begins Jan. 13.